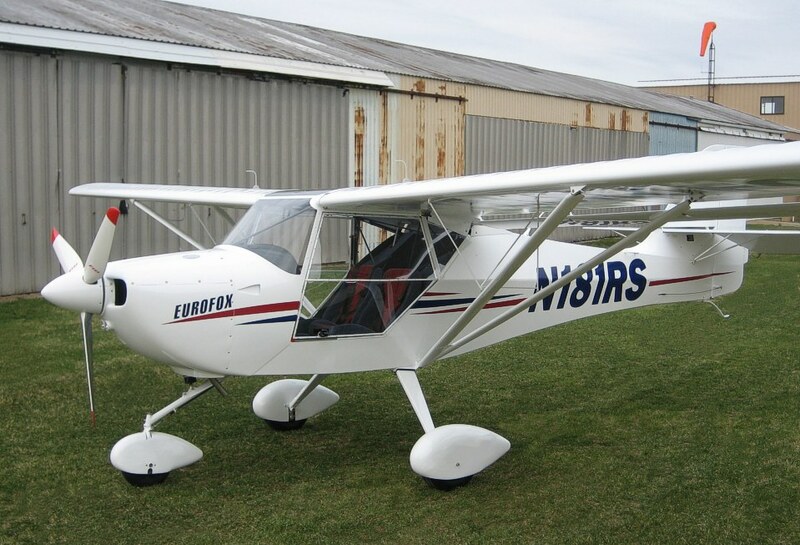 On 8/10/2007, I purchased a Eurofox, made by Aeropro. 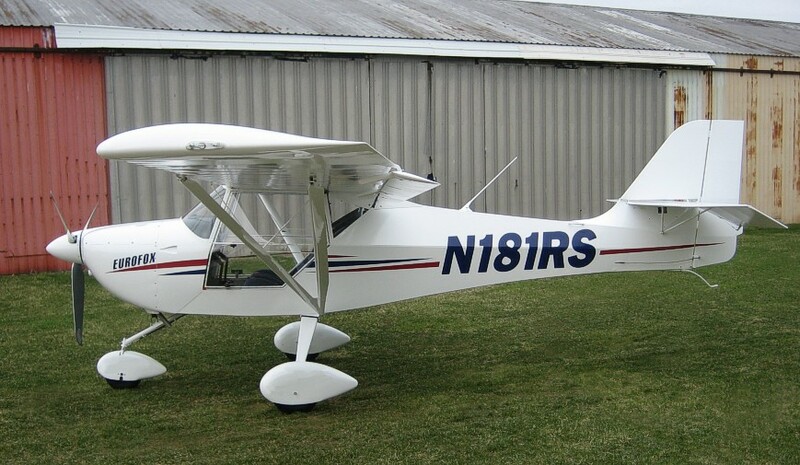 I picked this plane up at the distributor's location in Bloomfield, Indiana, and flew it home, to southern California. Here are some photos I took on the trip. You can also view my route here. 8/9/2007 - Arrived in Bloomfield. Went for initial flight in plane. 8/10/2007 - Bloomfield, IN: Spent the morning, going over things on the airplane, and doing paperwork. Departed Bloomfield at 1:30pm. Arrived at first fuel stop, in Lebanon, MO (KLBO). Nice airport, with nice FBO. Met the typical "two old gentlemen sitting in chairs, discussing all the world's problems". They were very interested in the Eurofox. FBO offered free snacks, water, sodas. Arrived at Neosho, MO (KEOS), for second fuel stop, and the evening. Neosho is also a very nice airport. Runway appears to be very well maintained. I arrived at 6pm. The guy manning the FBO was just about ready to leave for the evening, but saw me there, and waited. I'm glad he did, since the airport was in the middle of nowhere. He was also very interested in the Eurofox, and said "Gee, it's too bad you weren't here this morning". He explained that just that day, the city held an airshow and open house, to dedicate the brand new terminal building, which was real nice. Apparently, they had a little fly-in/airshow, complete with an appearance from the governor. The FBO guy was nice enough to drive me to the hotel, about 2 miles away. 8/11/2007: Departed Neosho at first light. Today, was the first day I saw excellent visibility, and not a cloud in the sky. Flew with a 10 mph headwind all day. Airspeed indicator indicated 110. GPS indicated 95 groundspeed. Clinton, OK: First fuel stop. "Low fuel" light came on just as I was entering the 45 degree downwind leg. Another nice place, with friendly people. Unfortunately, the guy who pumped the fuel, splashed a bit on the plane. Luckily, there was a water hose nearby, and he helped me wash it off. No damage, and it didn't hurt anything. The guy felt bad, and knocked off 5 gallons worth of fuel from the bill. Rob warned me to insist on pumping my own fuel. I should have listened. Tucumcori, NM: Second fuel stop. Arrived about 2pm. Decided to just spend the night here, because toward the west (toward Alburquerque), was a solid line of thunderstorms, and heavy buildups. Since the ground level through that part of the country is 7,000 feet, and since it was REAL windy, I knew I'd want to fly as high as possible over that terrain. Between the thunderstorms brewing, and the fact that there is a lot of distance between airports our there, I decided to just spend the night. Thunderstorms are pretty to look at from the hotel window, but not from a cockpit window, with me wishing I wasn't flying at that time. Airport manager was nice enough to let me put the plane in an unused hangar, so I wouldn't have to tie it down, or leave it out in the sun. Hotel picked me up. 8/12/2007: Departed Tucumcori at first light. When I was preflighting the plane, in total darkness, another vehicle drove by. The driver yelled "good morning" to me, and drove off, toward some distant hangars. About 20 minutes later, that person taxied by in a T-bird ultralight. I went over to introduce myself. Nice woman, who just enjoyed "flying". She told me that it does tend to get pretty windy out there early, so ultralight pilots need to be in the air at the crack of dawn. This flight would take me over Albuequerque. Even at this early morning hour, the thunderstorms were just beginning to form, and I had some moderate turbulence. I flew through this stretch at 10,500. That helped a lot, with the turbulence. It was a little chilly, so I was able to test the cabin heater. Worked great! I'm glad I decided to fly this portion of the trip in the early morning hours, instead of attempting it, the afternoon before. Still some pretty strong headwinds. 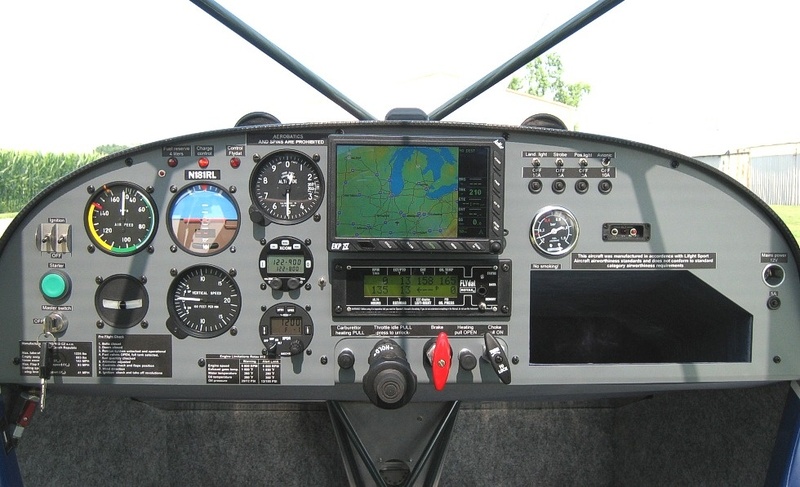 At 8,500 MSL, at 4,800 RPMs, I was indicating 93 MPH. Obviously, my TAS was a little higher than that. Landed at Grants, NM. Small airport, with an elevation of over 7,000 MSL. Met the nicest "grandfatherly" guy running the FBO. A few people asked about the plane, including one guy, who mentioned that he used to live in California (after I told him where I was headed). He said "You probably never heard of the place.. I used to live in Llano". Llano, is exactly where I was headed. Llano, is just a rural, unincorported area, with maybe 1,000 residents. After that, our conversation turned to things about Llano. It is a small world some times. Landed at Prescott, AZ. I wasn't intending to land for fuel just yet, but I was battling quite the headwind, and decided to make sure I wasn't going to be "almost" to some airport, with a low fuel condition. Prescott was a lot larger than I expected, and was the only towered airport I landed at, during the entire trip. 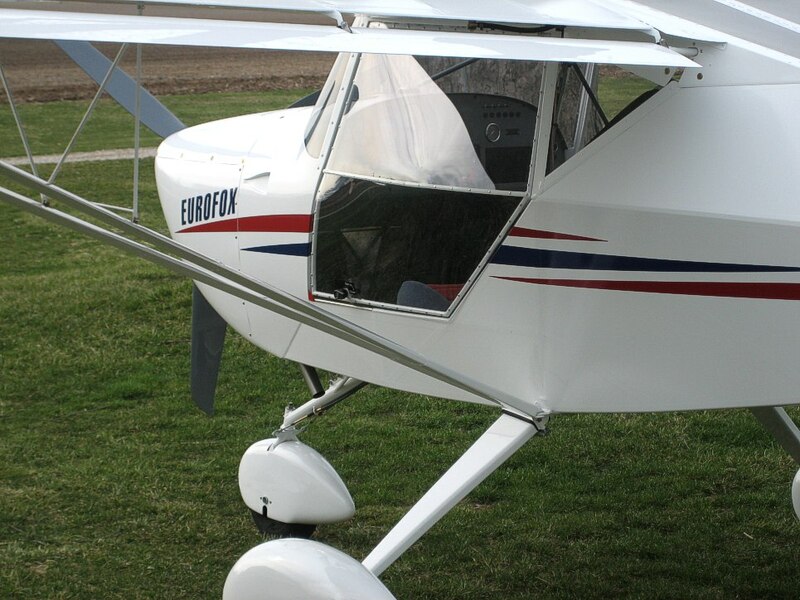 Fuel guy was very interested in my plane, as he once owned a Kitfox. Next stop, home! It was sure nice seeing the Colorado River, which is the south-eastern boundary between California and Arizona. This must have been the longest leg of the trip.. It wasn't really, but it sure felt that way. It's all in the mind, I guess. 1. You people in the midwest actually get "weather". We, in the southern California desert have no weather at all, and we only have two seasons; day and night. I might actually have to dig out my little "metar decoder" when I fly in that area again. 2. When I was taught to fly (at Edwards AFB, in southern California), our definition of "horizon", is where the surface of the earth meets the sky. In the midwest, the definition appears to be "where the lower level of haze, meets the farthest piece of ground you can see". 3. I used to think Florida was flat. Man, MO and OK are pretty darned flat, too! 4. You meet the nicest people, at some of these little uncontrolled airports. They treat you like royalty, and are genuinely glad to see you. 5. I tend to fly victor airways or a few "direct" routes, where it makes sense. I like to have a checkpoint every 30-50 miles or so. Yes, I file flight plans, and I always use ATC for flight following. Flight plans are good because it allows someone on the ground to know where you intended to fly, but of course, it will be a long wait for FSS to do something, if you have problems. I always try to get flight following during the trip, so someone is watching over me at that time, and can give me assistance immediately, should I need it. 6. Yes, I used the GPS, but I also had the entire route planned on paper, and using sectionals. I never put all my faith into those "gadgets". You never have to worry about batteries going dead on your sectionals. 7. Even at high altitudes, there are 50 mile stretches in NM and parts of eastern AZ, where ATC loses radar contact with me. Some very rugged terrain out there. 8. Yes, I do fly with a small survival kit, and water. 9. The FAA has not yet decided on the "official" designation for these planes, but I hope they do it soon. This is a problem, when filing flight plans, or getting flight following from ATC. On the initial call to ATC, one of the things they want to know is "aircraft type". When I told them "I'm a Light Sport Aircraft, about 100 mph", they go "huh?". Then I would tell them that I'm a Eurofox. They would respond with "HUH?". 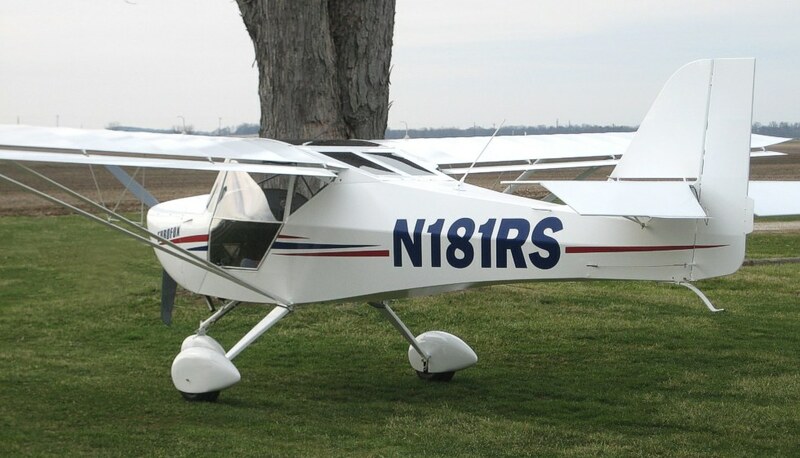 After going through this several times, I finally decided that it was just best to tell them I was a C-152, since it looks like one, and has about the same performance (except fuel burn rate). They'll also accept "HXA", or "HXB", which are the designations for experimentals (depending on their speed). The only problem with that, is when you give them one of those identifiers, they'll start calling you "Experimental", which might cause you to miss a call, since you're not expecting to be called "experimental". The FAA needs to come up with two "generic" identifiers that can be used for all SLSAs, similar to the experimental identifiers. 10. I want to do it again!